Calling all wine lovers who love tasting different wines and good food, and checking out local wineries! This club meets on the first Wednesday of each month. 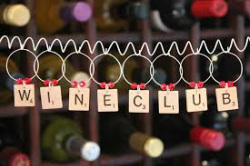 We will taste 3 red wines and 3 white wines from Virginia wineries for our first club meeting. Please bring a dish to share for a potluck lunch for our first meeting and $10 for wine cost (or lower.....depends on cost of wine and how many people RSVP). Future months will include both wine tastings at peoples’ homes and tastings at local wineries. Please contact Karen at kmmoyer22@verizon.net or Tara at taram72@aol.com if you are interested in learning more about this group. Copyright 2008-2013 Belvoir Officers' Spouses' Club - A Private Organization not affiliated with Fort Belvoir or the US Army.